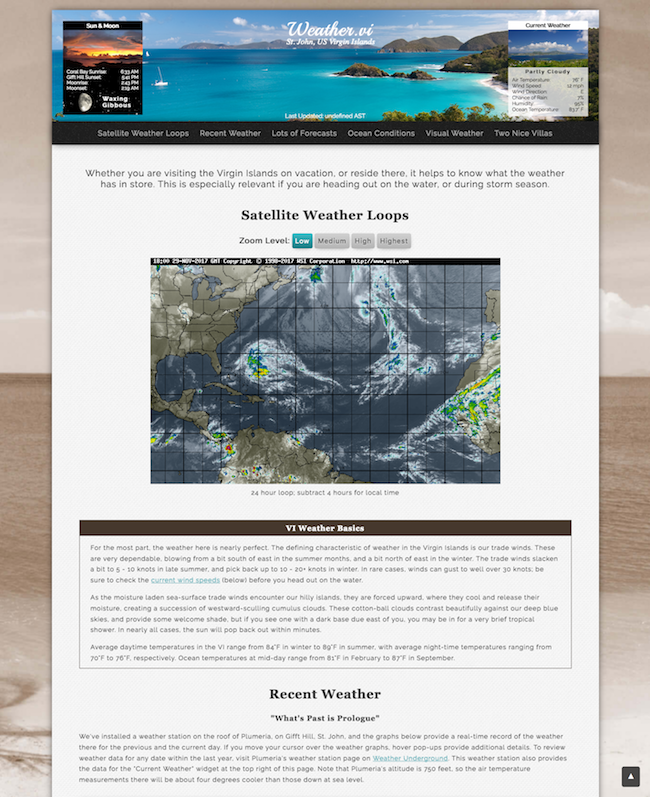 The weather.vi website pulls data from several sources, including the Plumeria weather station and web camera (situation on a vacation property in the Virgin Islands), the NOAA.gov website, and Weather Underground. The information is loaded into a single scrolling page which allows visitors to find the information they’re looking for very quickly. To prevent the page from loading too slowly, the data is added to the page using AJAX, which means that the data loads after the initial design of the page loads. We also cache the data to prevent the data sources from being bogged down by too many requests per hour.